Our very own Bob Kronman is featured in this month’s issue of AV Magazine giving you a full insight into how Bob’s career started and how he came to set up Kronman Associates. The IBC show is coming to Amsterdam, September 13-18, 2018. It's a great opportunity to see the newest in broadcast, media and entertainment technology. Kronman Associates will be attending with our colleagues from Exertis and Service+Support. We look forward to meeting you there. We're going to the Digital Signage Expo in Las Vegas next week. #DSE2018. Great opportunity to meet our colleagues and see what's new in display technology and content management. 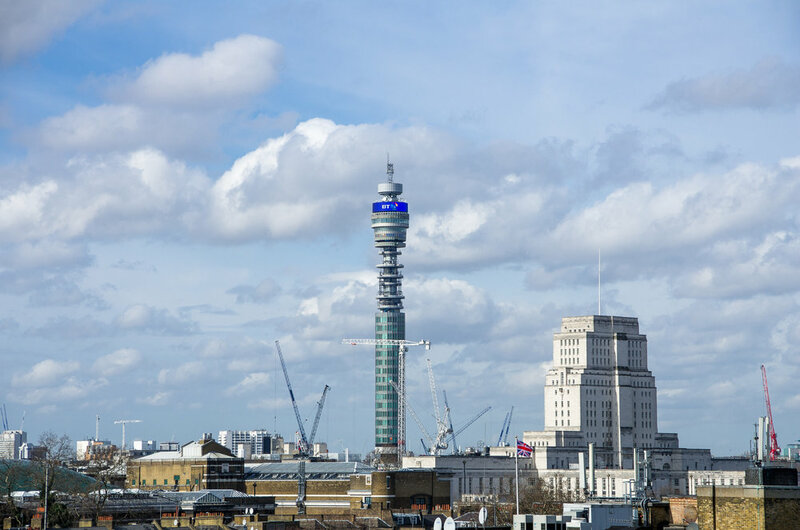 Bluman Associates has partnered with DOOH LED expert Bob Kronman of Kronman Associates to provide expert consultancy for a digital screen upgrade at London’s iconic BT Tower. Bluman was commissioned to undertake an initial feasibility study after BT expressed an interest in replacing the existing LED screens in 2015. Kronman Associates is investigating the opportunities that exist for re-selling, installing and using LED screen products that have previously been used in the fixed installation advertising and rental markets. New LED screens are appearing around the UK and Europe every day with many small rental companies and end users buying directly from factories and distributors. The availability of these products mean some companies are updating screens faster than before and the original screen products are being sold or stored after only a few years. Many of those products have a longer life expectancy than they're being used for and when they've been well maintained, these screens could provide new user's, such as small retailers and lower tier sports clubs, to get useful large format LED at a reasonable price. We'd be interested to learn about seller's and buyer's who might want to share their stories about buying and selling their LED screens. @AVIXA hosted their first business event in London yesterday at the QEII Centre focusing on making businesses more successful in the coming year. It was great to meet new people and see old friends at the event. We came away with some great insights for ourselves and our businesses. We're glad to see that the Infocomm events will continue as before and hope the new name for the organisation will lead to a stronger association around the world. The AV Awards were held this past Friday night, September 29 2017 and we'd like to congratulate the winners and the finalists in all the categories. We are proud to have been on the judging committee for the awards and would like to thank Clive Couldwell and the team at AV Magazine for inviting us to participate. Well done and we look forward to working with many of you in the next 12 months. Attending two trade shows in 3 days is quite a challenge but this year proved to be a worthwhile challenge. IBC has expanded to 14 halls of the RAI venue in Amsterdam as well as the outdoor sites for screens, production vehicles and studios. We understand that attendance was great and from what we say Saturday and Sunday it was as busy as ever. It was interesting to see all of the content creation, storage and transport solutions on offer, next to the camera's, production equipment and display hardware all in one place. It looks like real 4K content will finally be available to everyone very soon. PLASA was held for the second year at Olympia in London. We visited on Monday and were pleased to see how busy the show floor was. Positive interaction between the entertainment and AV world was on show with many different lighting and video solutions sharing space with staging, sound and theatre solutions. PLASA is returning to it's best as a networking and showcase event where everyone involved in stage, production and events can talk and share ideas. We've just arranged to meet with a number of colleagues in the LED and DOOH digital markets at the IBC Trade Show in Amsterdam. If you'd like to meet us there on Saturday, September 16 or Sunday, September 17th please get in touch. This year is the 40th Anniversary of the PLASA Show in London. PLASA has been a great support to our business and we're looking forward to seeing the 200+ brands and products on show for the entertainment industry. We're going to be there and hope to meet friends and colleagues at the show. Register here at www.plasashow.com. Kronman Associates maintains a list of LED manufacturer's so that we can report on the market to customers as well as the press and trade associations. This year we're updating our database to include product lines and pricing. If your company makes LED Video displays, please contact us at info@kronman.com so we can include your company and products. Tagged: LED Screen Consultant, LED Screen Product List, LED Manufacturers List, Who makes LED video screens? Summer Projects while school's out. Kronman Associates continue to work on a variety of projects throughout the summer. While families are away for the summer holiday we're finishing off some long term jobs and starting new one's. The past week was fully taken up with responding to RFI's and RFP's aksing for Independent Consultants with expertise in the LED and Digital Markets. We're looking forward to starting on those jobs in September. If we can be of assistance on your project please contact us through our web contact page. We're going to the InfoComm in Florida. June 14-16 2017. We're looking forward to meeting clients and suppliers. Kronman Associates have been providing project management services to Concept Signs for a number of high profile installations around the UK. Offering white label services to Concept has provided them with the resources to deliver more projects for their clients around the country. Kronman Associates have completed the installation of LED modules into fifteen advertising columns in the new Heathrow Terminal 5 First Class corridor. The project was part of the JCDecaux Airports commitment to Heathrow and British Airways. Working alongside MJM and the JCDecaux team we carried out the installation overnight to avoid disruption to the normal operations of the airport and British Airways First Class experience.